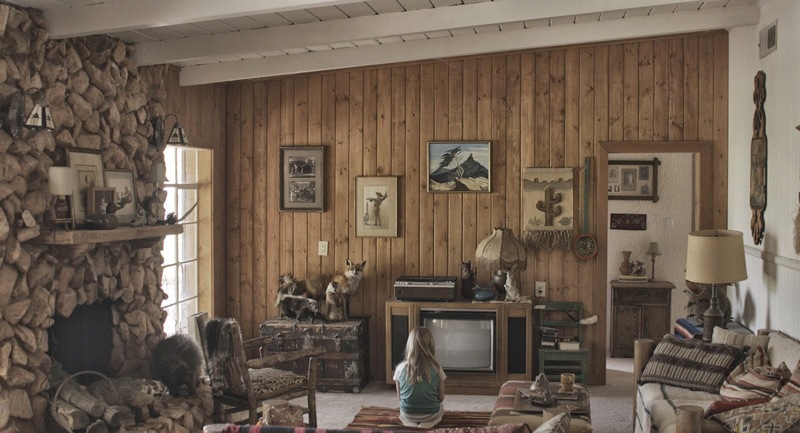 AFI FEST 2014 is a wrap, 73 features and 45 shorts screened across eight (8) days. This year I highlighted 24 films I found to be a high priority, of those 24 films I caught 15 of them. In order to give a fair amount of coverage to the 15 films viewed across five (5) days, I've broke my festival coverage down by day(s) including a brief review of each feature. "'71" uses the volatile historical setting of an IRA-controlled Belfast to its benefit in the relentless cat and mouse thriller directed by Yann Demange. There's an ounce too much setup in '71 before you get to the meat of the film. The aggressive fugitive tale has book ends that are aimed at generating sympathy. The plight of our central character (aptly portrayed by Jack O'Connell), however is so powerful that those book ends feel unnecessary. The fierce story could have benefitted from a more focused portrait of a soldier thrown into an impossible situation. 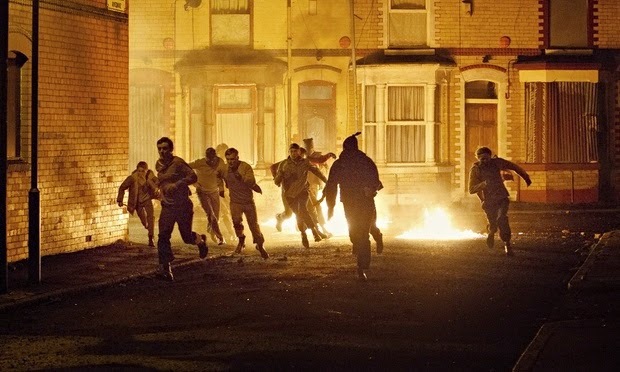 Speaking of an impossible situation, Yann Demange delivers the goods once our new recruit and his unit are launched into the middle of unstable Belfast, Ireland. Like the unit, the audience is tossed into a very unsafe situation that goes downhill in a real hurry. Demange is unafraid showing his viewers the stakes in Ireland during this historical location. Families on the front lines willing to die for what they believed in. A far cry from the apathy we see here in the States today. You quickly begin asking yourself, how is anyone supposed to keep the peace under these circumstances? All the while reminding yourself, this is the unit's first day assigned in Belfast. The performances throughout '71 do a fine job of elevating the already powerful report. Jack O'Connell brings his A game to the portrayal of a new recruit abandoned by his unit in the middle of divided Belfast. It helps that our fugitive is being chased by a number of menacing performances including the always venomous Sean Harris. Conclusively, '71 is an intense portrait that carries its audience through a very graceless period of Irish history. If there ever was a director (outside of Michael Bay) where audiences needed to simply just go with it in order to enjoy their movies, it is Quentin Dupieux. His films are usually absurd for the sake of being absurd. His last two features, "Wrong" and "Rubber" are thundering examples of exactly that. It must be pointed out however, this absurdity is with good intention. Writer, director Quentin Dupieux wants his audience to have a good time. In order to do so though, it is probably a good idea for you to not try to rationalize things too much. That being said, here's me trying to make some sense of "Reality." The comedy houses a shared universe between a producer, a director, and an actor. At the center of those three, is a hopeful filmmaker (played by Alain Chabat) assigned with the task of creating an Academy Award winning scream. Meanwhile, the hopeful filmmaker's mind seems to dictate the other three's actions and vice versa. Who is controlling who is mostly unclear. What is clear, is that their lives are intersecting and they are effecting each other in various ways. Many of these incidents are 100% ridiculous and provide a torrent of laughter to any of the audience still participating. Actor Alain Chabat handles Dupieux's odd tale in an whimsical and accommodating nature I found to be bananas. The comedy is deranged, although its lunacy actually has a level of depth and insight on the nature of filmmaking. How much depth, is of course, up to the viewer enduring Dupieux's dream-reality within Reality. Not since "The Sixth Sense" I have sat through a film where I wondered if the filmmaker was hiding (in plain sight) what seemed so obvious. 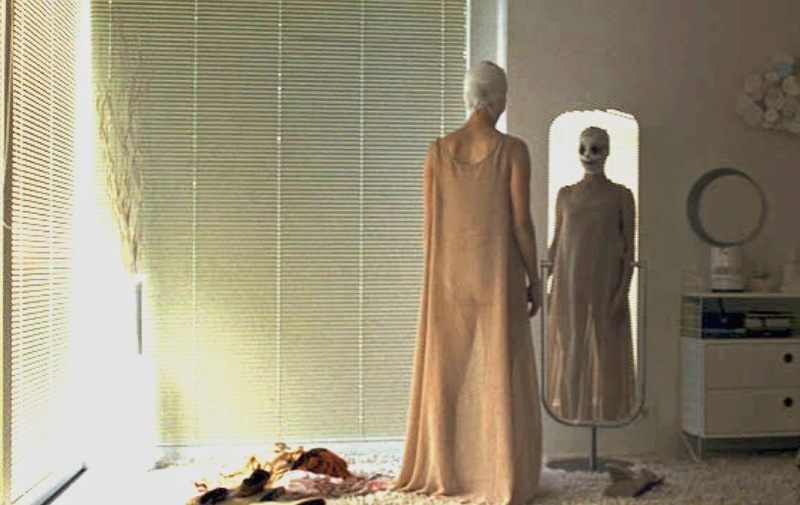 "Goodnight Mommy" follows twins as they suspect their mother has changed for the worse after undergoing plastic surgery. Co-writer and co-directors Veronika Franz and Severin Fiala build the right mood and tension with their quiet thriller, however the film lacks a refinement that could have raised the curious tale out of its own ashes. Elias and Lukas Schwarz are captivating as the mischievous Twins, while Susanne Wuest's portrayal as Mommy matches the unnerving tone. Except the performances are not the issue with this story meant to get under your skin, it is the obvious path it is headed down. The journey is chilling and works very well up to a certain point. Then the expected conclusion is a unfortunate chore to sit through. I found the third act completely unsatisfying despite its desire to please the audience it lured in with the promise of fright. This is not to say the payoff won't work for certain audiences, I just didn't find myself continuously bewitched by a reveal I saw coming from the get-go.